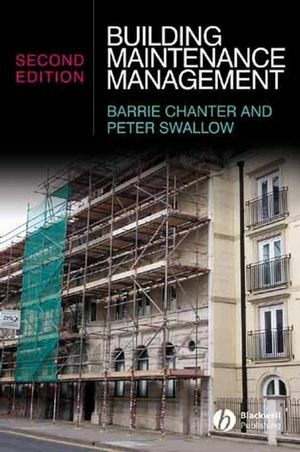 Chapter 1 - The changing context within which Building Maintenance operates. Chapter 2 - The Maintenance Dimension. Chapter 3 - Maintenance Organisations. Chapter 4 - The Design/Maintenance Relationship. Chapter 5 - The Nature of Maintenance Work. Chapter 6 - Information Management. Chapter 7 - Maintenance Planning. Chapter 8 - Maintenance Contracts. Chapter 9 - The Execution of Building Maintenance.